HB 2355 builds on an anti-profiling law passed by the legislature in 2015. It passed the House by a vote of 36-23 and the Senate by 20-9. 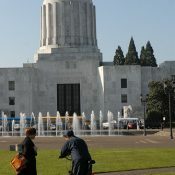 Support for the bill came from groups as disparate as the NAACP, the Oregon Association of Chiefs of Police and Oregon State Sheriffs Association, and retailer REI. Black residents in particular discussed police harassment as a barrier to bicycling. 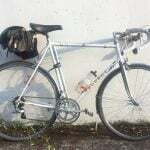 For many, bicycling felt like an activity that simply makes one too vulnerable to be worth it. 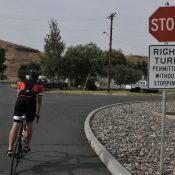 — from BetterBikeShare.org’s Silent barriers to bicycling series. In Portland, advocates are watching the Bureau of Transportation’s number one priority, Vision Zero, to see how it will impact enforcement practices. PBOT’s Vision Zero Action Plan did not recommend more enforcement specifically due to profiling fears. In December 2016 PBOT Director Leah Treat assured City Council that traffic enforcement would not lead to racial profiling. Instead, the agency will use automated enforcement measures like speed and red light cameras. One issue is that PBOT wants to focus their safety work on neighborhoods with deadly roads that have been identified in their High Crash Network — and many of those run through places with a higher number of black and latino residents. We need more portable, automated, and no-stop enforcement. How about a remote-control drone that reads your driver’s license and takes your picture instead of a cop with a gun standing at your window? Send a fix-it ticket in the mail for the broken tail light, whatever. I think a picture-taking drone could open the window for more government surveillance of its own citizens. Couldn’t we just take the guns away from traffic cops? Surely there must be a non-lethal way for them to protect themselves. Can a police officer with a non-lethal weapon protect his/herself from someone with a lethal weapon? I believe officers have to be prepared for worst case scenarios, even when they don’t happen very often. Imagine a 5’7″ female officer with a taser. A lager male steps out of his car with a gun, what is she suppose to do? It’s raining and the man is wearing a thick jacket. One of the taser probes doesn’t make contact and he continues. The officer is completely defenseless. How often would that happen? 0.001% of the time? How many cops kill innocent people? Probably more than that. What would you do in a situation like this? Say you were out of the taser range but could see the man pointing the gun at you and was ready to fire. Two officers were killed this weekend, read the article and make your own judgments. How many more would have been killed if the officers didn’t react with their firearms. 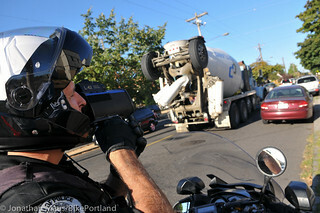 At the Portland Police Bureau, the cop would retreat and call for back-up. Apparently, it is policy to never engage someone who MAY be violent without back-up even if it means allowing a violent criminal to escape, which is exactly what happened the night before those fatal stabbings on the Max. The murderer attacked a black woman, who maced him and called the police only to have the officer who responded allow the soon-to-be killer to escape while he waited for back-up. I just can’t get too worked up over officer safety. We pay them well and give them high-quality benefits to take on the risk of engaging criminals so that the general public doesn’t have to, and yet they are more concerned with protecting themselves than with protecting the (largely unarmed and body-armorless) citizens. I’m not saying I want any cop to come to harm, but I do think they should freely put themselves in harm’s way to protect the public rather than always looking out for number one. In these what if scenarios — I think quick, rapidly evolving situations. Your particular “privilege” apparently includes never having to place yourself in danger as part of your job. waiting for a-grade bicycle lane paint on BH Highway.. Here is my technofix, In order to help put our future congestion based tolling system in place everyone would get a fast pass gadget like they use on the east coast. Except ours would be personalized so it would always be matched to the driver. Swap cars and take your gadget with you. Then automated speeding ( ot other) devices would just key off the fast pass gadget and no personal picture ( or difficult id) would be required. Then we minimize the need for routine traffic stops and associated discrimination. Implicit in this posting is the supposition that we are actually doing traffic stops. Seriously? I’m extremely confident that I can drive well over the speed limit, not stop at any stop signs and generally behave as though there is no enforcement and I won’t be able to get a ticket. Why do I believe that? It could be because I just drove 1800 mile over the past six weeks and did indeed drive over the speed limit most of the time and I don’t think I actually stopped at any stop sign in a legal fashion. Since two-thirds of that driving was in a bright yellow 26-foot moving van, I wasn’t exactly invisible. That said, fine go ahead and put in place some standardization for traffic stop data and use it to reduce racial bias in policing. While we’re at it, perhaps we can even fund some additional training and actually put a meaningful number of police on the streets. It’s disheartening to stand waiting for a bus and watch most of the drivers play with their vibrating toys because the odds of being cited are so close to zero. Something like 45% of all trips by motor vehicle are two miles or less. That puts a tremendous amount of driving within a mile of home, maybe as much as a third. Most cities are like PDX in that there are areas with narrow roads to no where with lots of dead-ends where the more affluent folks live. Guess what, fewer of those affluent folks are people of color than the general population. Now those dead-end and narrow, hilly residential streets just don’t tend to get much traffic enforcement. They also don’t tend to have as much traffic density since the only people driving on them are the residents. That’s different than the areas where people of color live in higher numbers. They have more arterials and high traffic roads in their neighborhoods. Their streets all go through, and so are used as high speed short-cuts. Not surprisingly, those streets have higher fatality numbers that beg for enforcement. So, affluent mostly white people have a big chunk of their driving done where there is no chance of being pulled over. Poorer mostly POC do almost none of their driving in such places. Even with perfectly color-blind enforcement, POC would be pulled over and cited at rates higher than their percentage in the population. Unfortunately, I’ve not seen any studies that correct for this housing location issue. 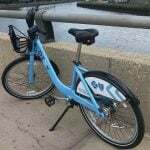 The four part BetterBikeShare.org series isn’t lengthy…you could browse through it in a brief amount of time. I haven’t read the Rutgers’ researchers’ actual study…yet…I may eventually. The four part series would at best, be described as sparse in identifying any frequency in which people of color are being unfairly stopped by police while biking. Twenty percent…felt they had been unfairly stopped. But had they actually been unfairly stopped? The study…at least the bikeshare.org story series reporting about it, does not concern itself with this question. Maybe the study recorded some of the survey respondents’ accounts of personal police stop incidents they had been involved in. What about the balance of people surveyed, the 80 percent that may have been stopped? Did they feel their being stopped by police while they were riding a bike, was fair? Here in Portland, in nearby Beaverton where I live, and in other towns and cities in the Willamette Valley, of course I wonder if people of color are being stopped by police because they fit a particular suspect profile, more frequently than are people that are white, or basically so. In my neighborhood, Central Beaverton, there live and work, quite a number of people of color. Just casual observation of the street, no scientific study, but it seems like at least as many people of color are walking and biking as are people that are white or basically so. To what extent people of color are being stopped exclusively because of the color of their skin or ethnic origin, is something important to know. People being stopped for their corresponding to a criminal suspect profile consisting of more details than simply skin color or ethnic origin, does not seem to me to the makings of an unfair stop. Would we not also need data pointing to weather the arrests were just or unjust? I’d like to see another metric like.. average income in the zip code they reside in. I suspect economic opportunity has the biggest connection to disregard for the law. One of the most consistent views on BP is that the city needs more enforcement of traffic laws, especially speeding. Some of us (me) thought the reason for the weak enforcement was understaffing at PPB, a problem that can be solved over time with more recruitment. This post suggests that, regardless of available police resources, the city or at least PBOT may also have made a policy decision to not increase enforcement of traffic laws. In this case, due to concerns about profiling of minorities. But it seems to me that this policy decision to not enforce traffic laws directly harms many of the people it is intended to help, because much of the speeding that isn’t being policed, and the deaths that follow, is occurring in their own communities. And it directly harms everyone else in the city too. Did the city consider these consequences when making its decision? Did the advocacy groups who pressured the city to make the decision, consider these consequences? Was the general public given any chance to have input into, or even hear about, the decision? This seems to follow a pattern of the city making policy decisions not to enforce its laws, in response to pressure from advocacy groups who are focused on a single aspect of our city. More enforcement isn’t the solution. It will cause more problems that it intends to solve. The city spends about half of its general fund on “public safety” i.e. police. We should spend that money on infrastructure to make the street design safer instead of on police that unfairly enforce laws that target minorities, the poor, and homeless. Only a small fraction of public safety spending is for traffic enforcement. If you believe traffic enforcement is unnecessary because you believe infrastructure redesign/replacement can fully address safety issues such as DUI, speeding, distracted driving, etc, please explain 1) what infrastructure changes you would make, and 2) how much it would cost to make these changes throughout Portland. I never said that enforcement isn’t needed. I said that the consequences of increasing police presence and enforcement vastly outweigh any benefits. Especially when you frame it as a racial/socioeconomic issue. I am not willing to put the lives of our vulnerable populations on the line to appease the white well-off majority. 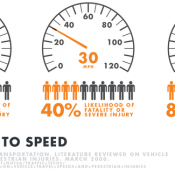 The speeding and other dangerous driving, that you don’t want more enforcement for, disproportionately kills those same vulnerable populations. Who appointed you, and other persons from what you call the “white well-off majority”, as the spokespersons for the Portland neighborhoods where cars speed at 50 mph through vulnerable populations, killing dozens each year? Let those neighborhoods, and those vulnerable populations, be the ones who decide. If they want more police presence and more traffic enforcement, they should get it. As someone that was there, I’d say yes the City did consider that increased enforcement in these areas with higher crash rates would also do more to protect the community. The Steering Committee discussed this over the course of a few meetings since enforcement actions were initially on the table and recommended by the project team. However the members of the community that represented these areas, and those who represented bicycle and walking interests were opposed to these actions (as reported here). In the end they were removed, and the policy reinforcing a stand against racial profiling was included. Yes the public was free to engage and comment. I can say that mostly the public didn’t attend, though Jonathan did attend part of one Committee meeting where it was discussed (hence the quote he provides). In sum, yes the City considered this and was persuaded to drop those actions due to the advocacy and recommendations of the community organizations and bike and ped org reps. Specifically which persons and organizations opposed increased enforcement in higher crash areas? You can find the task force membership here. My recollection was that nearly all the community orgs/ non-profits opposed increased enforcement, or at least supported the others orgs perspective enough that they didn’t push back at the removal of the enforcement actions. I think you can probably find summaries from those meetings as well that might provide more information about the discussions that went into the final list of actions. HB 2355, the bill the governor signed into law, is not an “anti-profiling bill”. It seems to be an anti-racism bill. Is it not for fighting inclination towards racism in policing that this bill was written? Does this bill, now a new law, have an official title or subtitle in any official Oregon publication, referring to it as an anti-profiling bill ? If it isn’t officially referred to as such, then it makes little sense to do so and in so doing, mislead and confuse people. Call the bill what it is: an anti-racism bill. Profiling is an important tool for people working, not just in policing, but in criminal investigation, national security, and maybe a whole host of more mundane evaluation tasks that involve seeking to determine of out the population types of people corresponding to various skills, interests, activities, and so on.